Entertainment for the whole family!! and with more sports channels than anywhere else ... all on 12 screens! Open Saturday May 4th 2019!!! Christakis Sports Bar & Taverna, Skiathos opened in 1988 and is the longest established bar in Troulos. If your choice is not listed, tell us and we will do our best to find it for you. not just the sports fans. 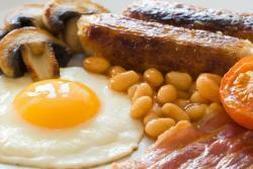 Start your day with one of our great selection of breakfasts. We offer our guests and visitors a full range of regular entertainment.